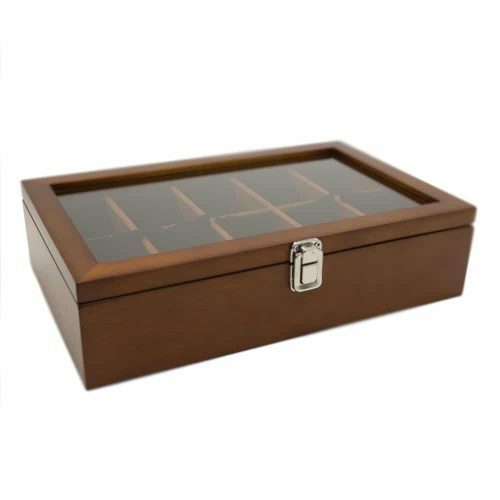 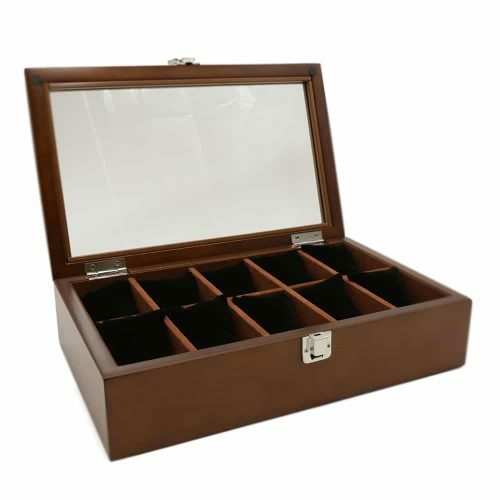 Protect your collection of watches and keep them dust-free with this Honey Brown 10 Slot Watch Box. 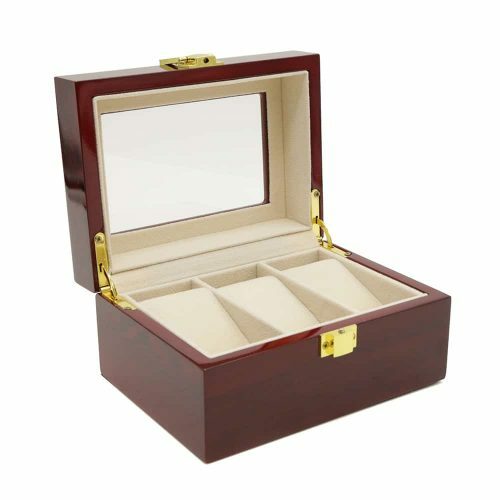 This wooden watch box has a beautiful honey brown exterior with a high-quality cream velvet interior to keep your watches scratch-free. 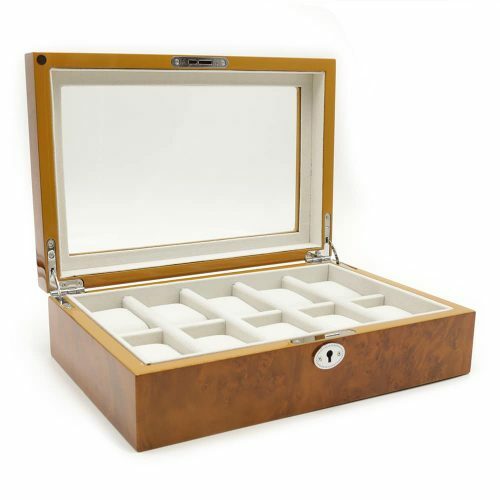 The slots are large and perfect for watches of any size including ones with large faces. 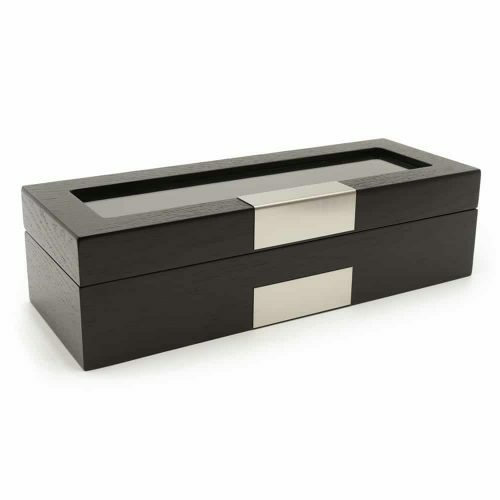 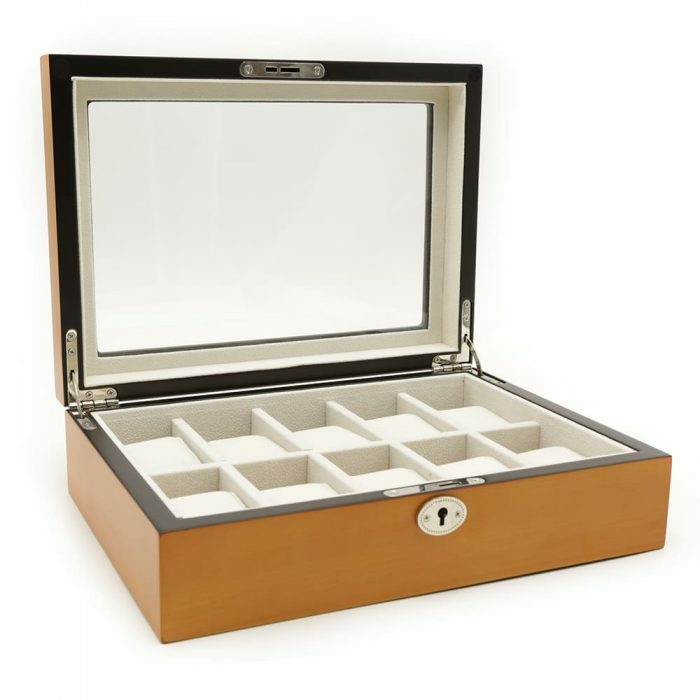 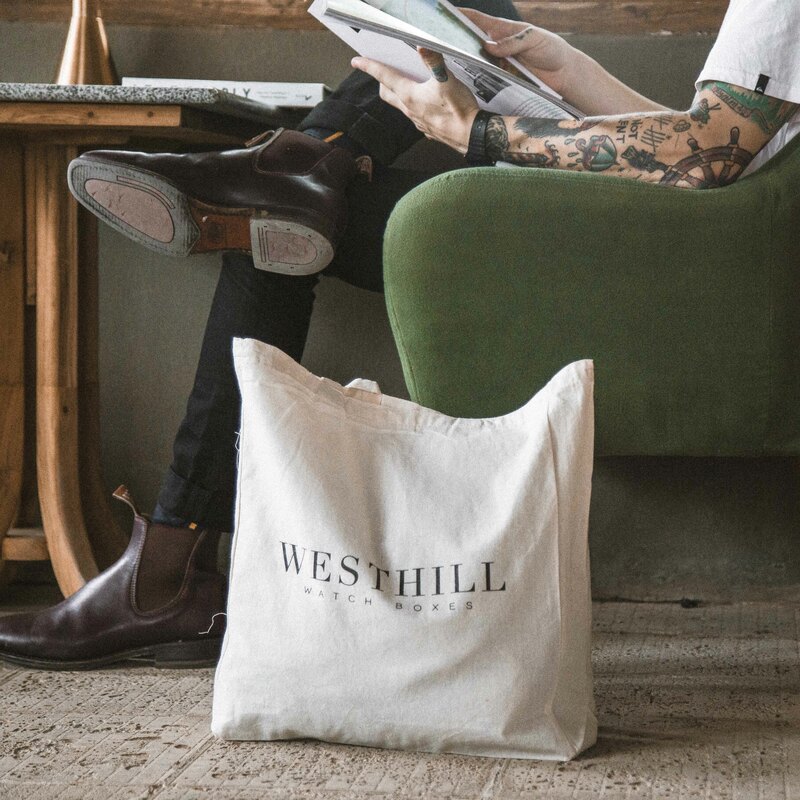 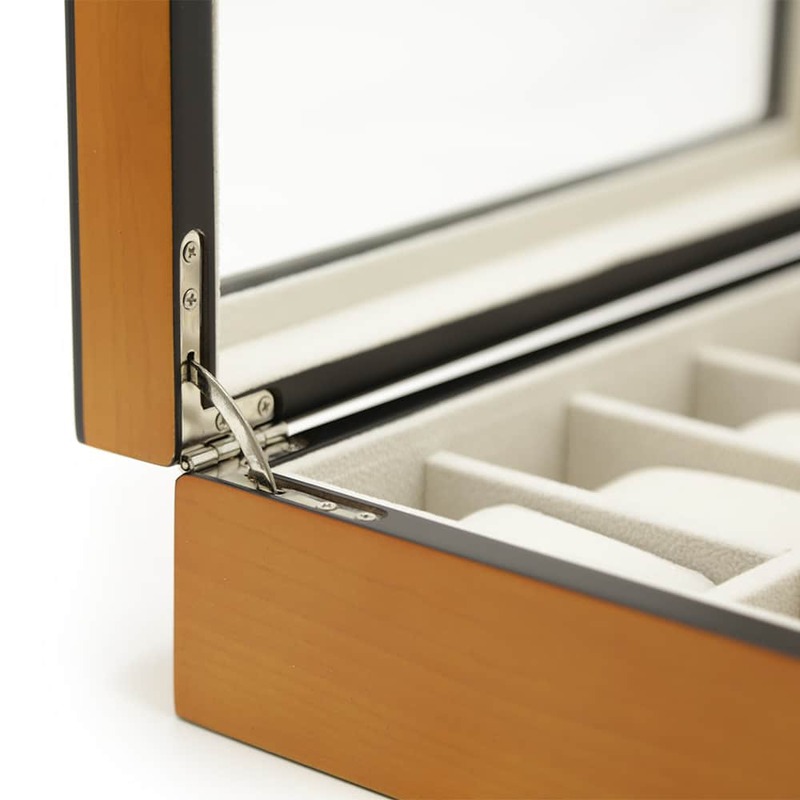 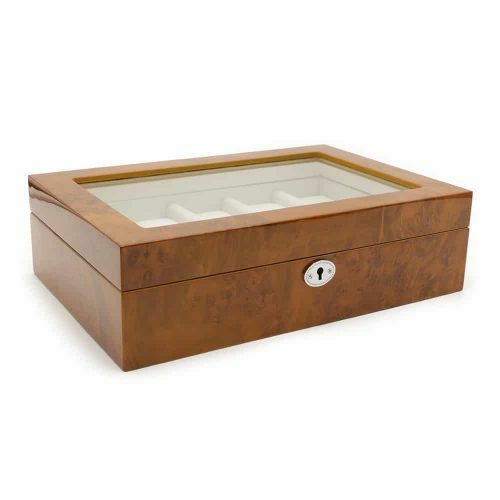 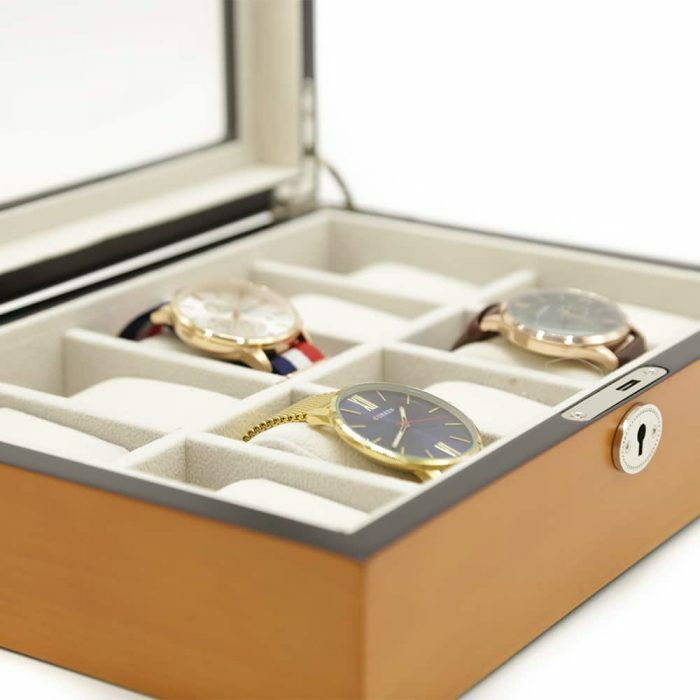 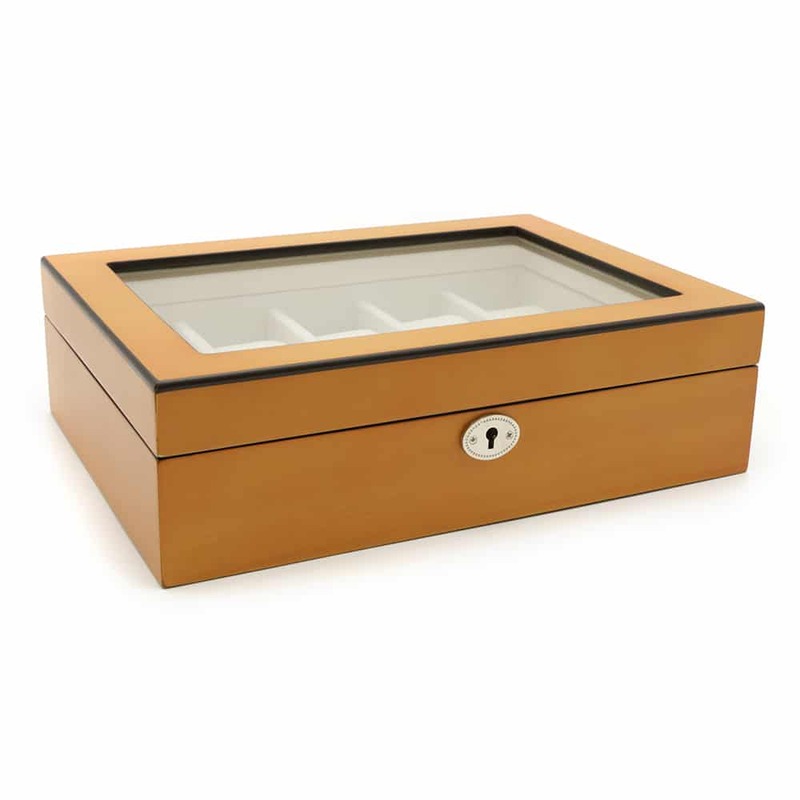 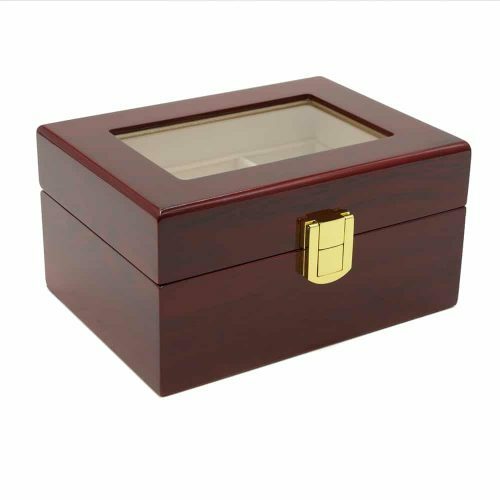 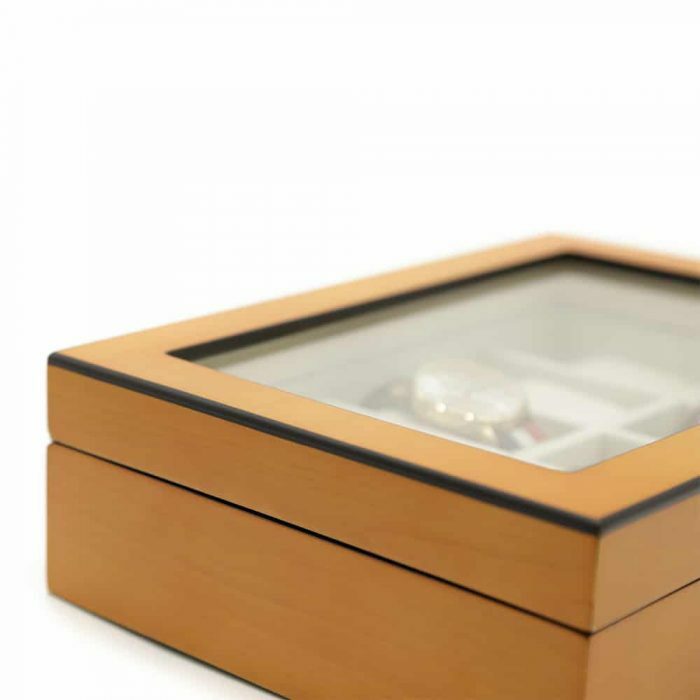 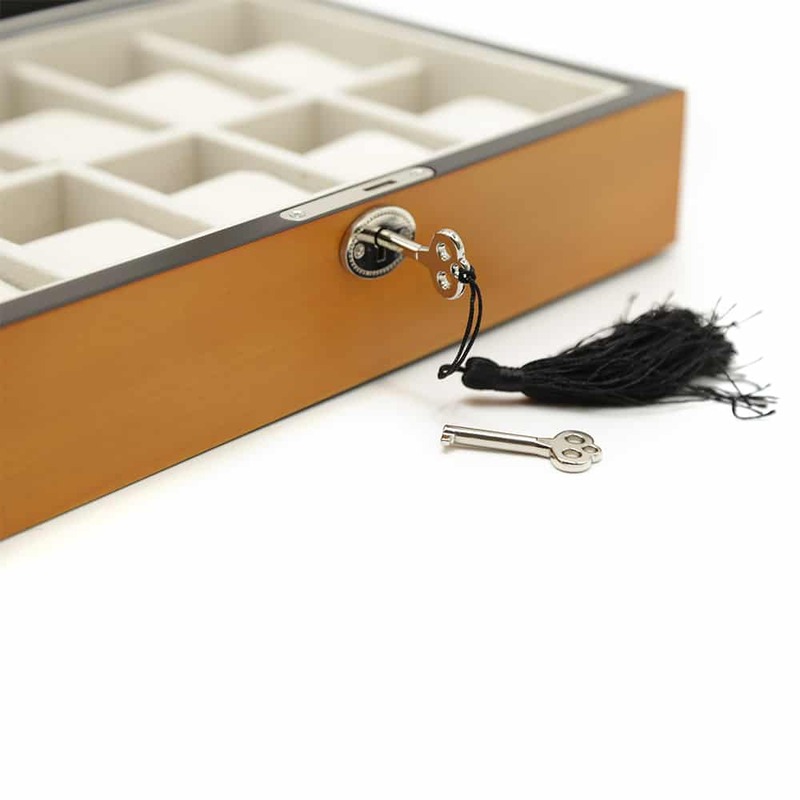 To ensure your valuables are safely stored, this watch box also comes with a lock and key. 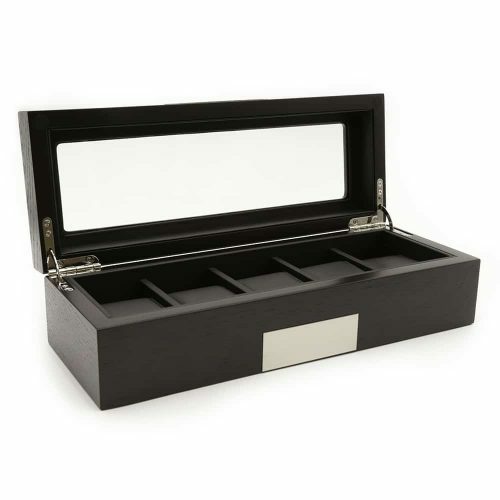 As it has a large transparent lid for viewing, this stunning watch box is also perfect for displaying your collection.